More than just the home of Costa Rica’s latest most active volcano, Turrialba is a delightful destination in Costa Rica to visit. Located in the Central Highlands province of Cartago, about 71 km (44 miles) east of San Jose, Turrialba is noted for its beautiful countryside, verdant pastures and fields, thrilling whitewater rivers, and wealth of outdoor activities. The towering Turrialba Volcano, standing at 3,340 meters (10,958 ft), dominates the horizon and gives rise to the town’s name. The first Spanish explorers to the area called the huge volcano Torre Alba, which means “Dawn Tower”. Agriculture is the principal industry thanks to the fertile volcanic soil. Rich Arabica coffee, sweet sugar cane and delicious macadamia nuts, among other crops, grow well here. Turrialba is the only place allowed to produce the popular Costa Rican white cheese known by the same name: “Turrialba”. You’ll see an abundance of cattle ranches and milk processing plants around. The enchanting little town will bring you back in time with colorful old wooden houses, and ancient ruins you can see at the Guayabo National Monument – one of Costa Rica’s principal archaeological sites. Another unique highlight of Turrialba is that all Rawlings baseballs used in Major League games in the U.S. are manufactured here. Before Route 32 opened in 1987 a more direct roadway from San Jose to Limon, crossing the Braulio Carrillo National Park, the town of Turrialba was the gateway to the Caribbean region. Now, it is a great starting point for many activities in the Central Highlands and Caribbean mountains. Turrialba is famous for being a whitewater rafting hotspot and base camp for other adventure tours like zip lining, canyoning, rappelling, mountain biking, and horseback riding. Guayabo National Monument: Located about 19 km (12 miles) northeast of the town of Turrialba, Guayabo National Monument is the largest and most important archaeological site in Costa Rica. Archaeologists estimate the indigenous city was built between 1000 BC and 1400 AD. For about 2,400 years, it was home to approximately 1,500 to 2,000 people. Some artifacts and petroglyphs found at Guayabo date back to 1200 BC. While little is known about the ancient civilization that lived at Guayabo, the 49-acre site’s architectural complexity – a developed system of buildings, aqueducts, roads, retaining walls, and bridges – and extraordinary artistry suggest that it was home to an advanced society. Artifacts indicate that the city’s residents were highly skilled at architecture, civil engineering, and urban planning. For these engineering achievements that have endured over time, Guayabo National Monument holds the designation of Civil Engineering World Heritage, awarded by the American Society of Civil Engineers, one of the world's most prestigious institutions in this field. A visit to Guayabo National Monument is to travel back in time walking thousand-year-old streets, observing ancient stone and wood structures, examining petroglyphs and stone statues, and exploring complex aqueducts that once transported water from nearby streams to storage tanks. 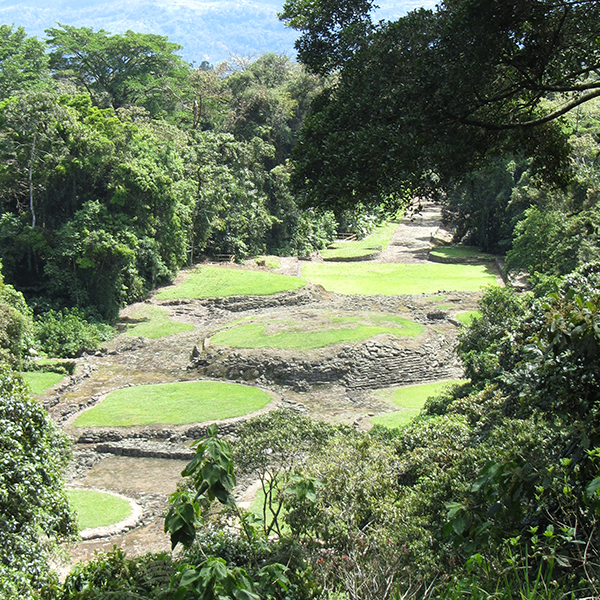 Only a portion of Guayabo’s excavation is complete, and archaeological work is ongoing. Turrialba Volcano National Park: In the southeastern end of the Central Volcanic Range, Turrialba Volcano has been very active since 2016 with frequent eruptions. While the Turrialba Volcano National Park is closed at the present, due to the volcano’s active state, you can visit the neighboring Irazú Volcano in Cartago. 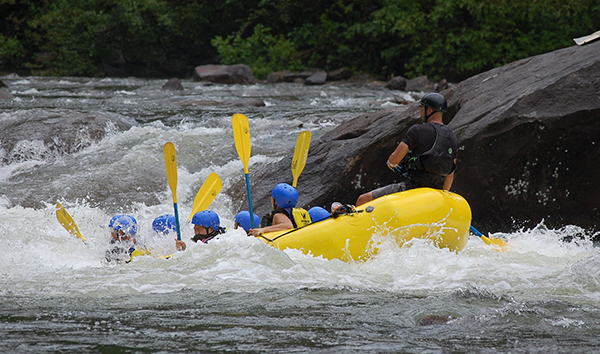 Whitewater rafting: Turrialba is the starting point for thrilling whitewater rafting trips down the world famous Pacuare and Reventazón rivers. These two rivers have been the sites of past world whitewater rafting championships. Closer to Turrialba, you can also enjoy fun rafting trips on the smaller Pejibaye River. 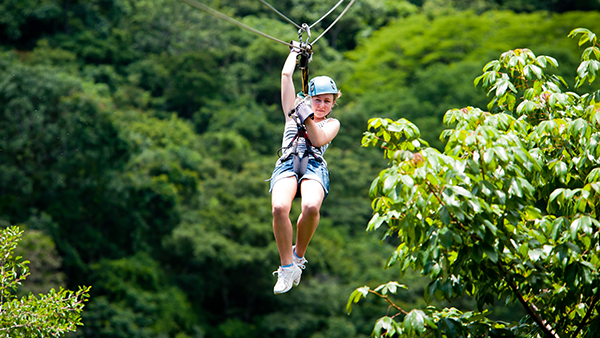 Zip lining and Canyoning: Another fun way to explore this beautiful area is to zip through the trees like a monkey and rappel down waterfalls like a commando on a canyoning and zip lining tour. Center for Agronomy Research and Development (CATIE): If you love plants and trees, you’ll definitely want to tour CATIE, one of the world’s foremost facilities for tropical agriculture research. Located a few miles from downtown Turrialba, CATIE’s 810 hectares (2,000 acres) are home to plants that have been collected from all over the world, including hundreds of varieties of cacao and thousands of varieties of coffee. 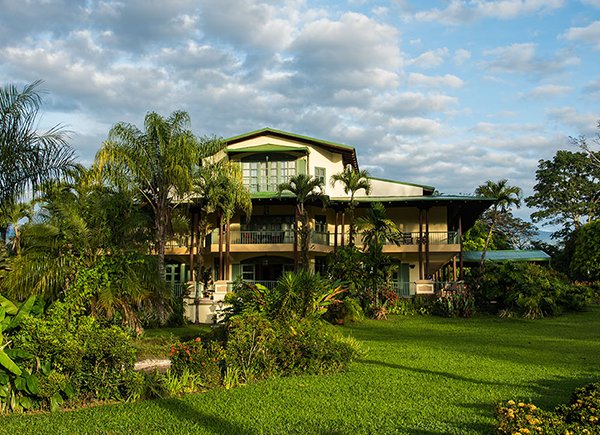 Hotel Casa Turire: Nestled in the hills of Turrialba on the shore of La Angostura Lake, Hotel Casa Turire is a fabulous place to stay. The hotel’s distinctive design evokes the ambience of an elegant colonial home. Warm and welcoming comfort, luxury touches and personalized service make it a perfect base for exploring the Turrialba region.